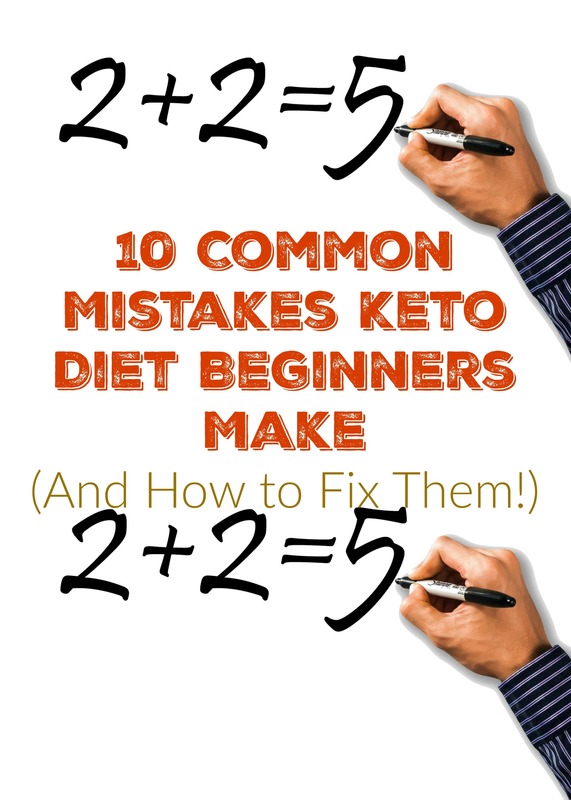 Home GET STARTED WITH KETO What Common Mistakes do Beginners Make on the Ketogenic Diet? The Ketogenic diet has been an absolute Godsend for me and my wife, transforming me from 400 to 200 lbs, curing my Metabolic Syndrome and helping my wife lose 100 lbs and cure her Type 2 Diabetes. It’s been an absolutely amazing journey as we’ve both seen our bodies transform over the last 4 years. I am a huge evangelist for this way of eating so I get asked a lot of questions about how to begin and I’ve helped many people in our 28 Day Ketogenic Challenge program. Having done this for so long, I know there are mistakes newbies make that short circuit their success but the good news is they are easy to correct. 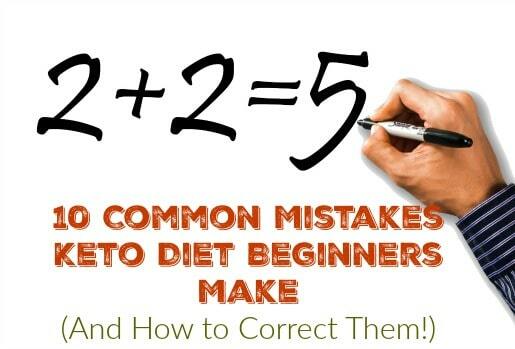 Let’s take a look at some of the common mistakes beginners make on the Ketogenic Diet. One of the issues I see with beginners is they can easily wrap their heads around the low carb part but the moderate protein and high fat really throw them. They cut the sugar and processed grains but they are still fat-phobic so they end of eating an almost vegan diet with a few boneless skinless chicken breasts mixed in. Yuck! You want to cut those carbs and raise the fat so when you eat your veggies, put butter on them and eat the fattiest cuts of meat you can find. I’ve seen this both ways. Either someone becomes protein-phobic and tries to get by on fat bombs and sticks of butter or they just eat very lean cuts of meat. Either way, you are making a mistake. Use Protein as a vehicle for fat by always choosing the fattiest cuts of meat, this means eating the dark meat of the chicken with the skin still on, the pork with the thick strips of fat on the edge and the well-marbled steaks. Oh, and of course, bacon. All the bacon you want. Throw a few eggs in there and you’ve got yourself a meal. While I always say to focus mainly on green leafy veggies for their low carb content, there is really no reason to avoid veggies that are a little higher in carbs. Broccoli, cauliflower, bell peppers, green beans and more are just fine. I wouldn’t even be concerned with carrots or onions. No one got fat because they ate too many carrots! Having said that, if you stall in your weight loss and want to try something a bit different, cut out those veggies with more starch and see what happens or up your weight training exercise. Remember the bigger your muscles, the faster you burn through your blood sugar. This is one I DEFINITELY did for my first 100 lbs or so. While you should weigh yourself regularly, don’t let it become an obsession. Remember that the point of a ketogenic diet is to cure your insulin resistance and the weight loss is just a side benefit. Focus on fixing your health and the other benefits you want will come along for the ride. There is nothing wrong with blowing into your Ketonix every once in a while but do you really need to do it before and after every meal and first thing in the morning? I never once checked my ketone level the whole time I was losing weight because I just didn’t care. My focus was on eating the foods that were most nourishing to my body and letting my body heal from the 40 years of morbid obesity I put it through. That should be your focus as well. I remember once talking to someone who had just started the ketogenic diet and was telling me about all the success she was having. As we were talking about all the amazing things that were happening to her she mentioned cooking some keto pancakes in a little Wesson corn oil. I said “corn oil? Why are you using that?” and she told me it was because she had always been told to cook in corn oil because it it was healthy for you. So we had to talk a little more about what fats are acceptable on the ketogenic diet. Stick with saturated fats like butter, lard, coconut oil, or tallow or monounsaturated fats like olive or avocado oil. Stay away from any seed or vegetable oils or margarine. They don’t have an effect on your weight, they just make you sick! Any time a dietary movement gets adherents, processed foods are created to jump on the bandwagon and usually they aren’t any good. Have you seen the Adkins frozen dinners lately? There is absolutely no difference between them and a normal frozen dinner and have been able to find a “Low Carb” snack bar with less than 15g of carbs? Me neither. What is going on with the Quest and Epic brand bars lately? It’s like they have forgotten who they made those bars for in the first place. And no one needs to be downing jars of flavored Ghee like they are candy. Forget the processed stuff and stick to real food. If you need a snack, stick with olives, pickles, cheese, or nuts. Or just wait until that craving disappears and go to your next meal time. Stress is a good thing. Yeah, you read that right. Our body responds to stress by hardening against that stress. That’s the whole idea behind exercise. You stress your muscles and they respond by getting bigger. But here is the key, the stress has to stop in order to allow the body to respond to it. So if you are constantly stressed out about bills or work or anything else, that stress will break down your body over time by increasing the amount of Cortisol in your blood stream. That Cortisol triggers your liver to increase your blood sugar levels so you have the energy to escape from that tiger that your body thinks is constantly chasing you. Increased blood sugar means increased insulin which means you are never losing weight. You body uses sleep to restore itself and get ready for the new day. If you don’t allow yourself enough sleep, your body isn’t able to do all the necessary repairs to itself and you can’t reach your health goals. I had an old Pastor say something to me one time that has always stuck with me. He said. “the most important things that will ever happen to us will always happen in community.” Over the years I have seen the wisdom in that saying as I have seen time and time again the power of a team of people to conquer any problem or climb any mountain. That is why it was so important to me to create the greatest keto support group the world has ever seen. You get weekly meal prep style meal plans, access to a fantastic support group full of over 1000 people who are losing weight and nightly live videos that will educate and inspire you. Would you like some help losing weight and meeting your other health goals with the ketogenic diet? Click here! Need more info about the ketogenic diet? Sign up for our 28 day training program and weekly ketogenic meal plans!